however, we are still open for business. Reflexology is a wonderful subtle but powerful treatment, that can help and facilitate the body to self heal. Reflex points that can be found in the feet, hands, face & ears all relate to different parts of the body- using zone therapy and meridian lines, these points respond to pressure, stimulating the body natural healing process to rebalance and repair. Remedial Massage is a wonderful way of allowing the body to relax and recoup. Deep tissue massage can be used for fatigued muscles – great for getting sore muscles back in shape for your next workout or yoga session. Relaxation massage to release the stresses of the day and allow your mind to totally "switch off" . Specialised care in Maternity Massage which is a perfect way to restore wellbeing & fatigue associated with pregnancy. Reiki is a natural healing therapy which is often described at "hands on healing". It originates from Japan and it main focus is to balance out the bodies "chi" energy. It is a gentle yet powerful therapy that can help restore balance and calm in the body. Reiki is fantastic for treating chronic pain in the physical body as well as more emotional ailments such as anxiety and depression. 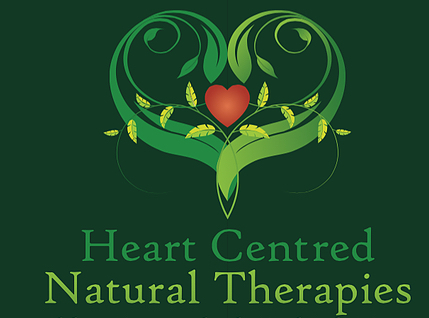 Hi I'm Karen & I'm an intuitive massage therapist blending clinical experience & knowledge with holistic energy work that treats the mind, body & spirit in every session. Individual treatments of Remedial massage, Reflexology (facial & feet), Reiki, Lomi Lomi massage are available or choose a blended session using techniques from different modalities to really make positive shifts in your life. I truly believe in treating every client with a holistic emphasis & that all physical ailments also carry emotional ones with them. I have qualifications in Remedial Massage , Reiki, Reflexology , Heartworks Lomi Lomi massage and am a meditation facilitator . Using all theses other skills from different modalities I am able to draw on a variety of techniques to allow clients to move through not only their physical muscular ailments but also to encompass an emotional or spiritual awareness into their treatment plan. I also use "Sacred Self Alchemical oils" in most of my treatments. These are amazing essences that all have a different emotional or energetic affirmation attached to them. They can enhance and promote deep relaxation as well as allowing the energetic body to release old behaviours & karmic patterns. All major Health care rebates available. I am an accredited member & Chairperson of NSW branch for Australian Reflexology Association & a professional member of ATMS.